I’ve received some amazing parcels this week but my favourite had o be this. The packaging on it’s own got me so excited isn’t it so pretty? 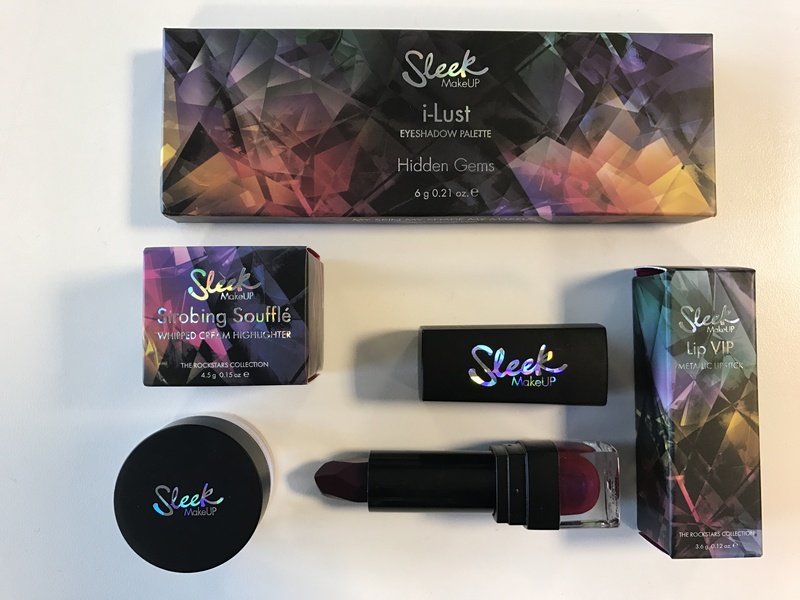 Sleek have a new exclusive collection out if you didn’t know already. It’s called the Rockstars collection. 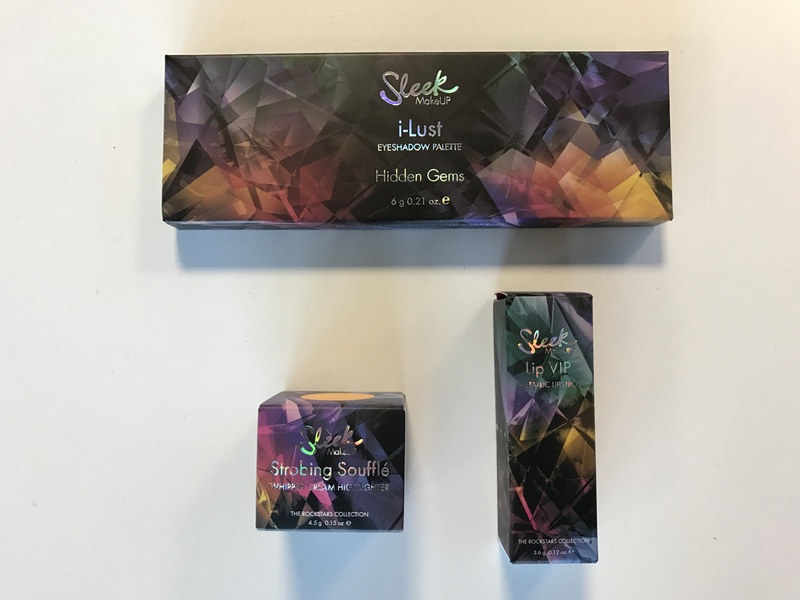 You can rock out with these exclusive make-up palettes and lipsticks they even have a highlighter for us sparkle lovers. 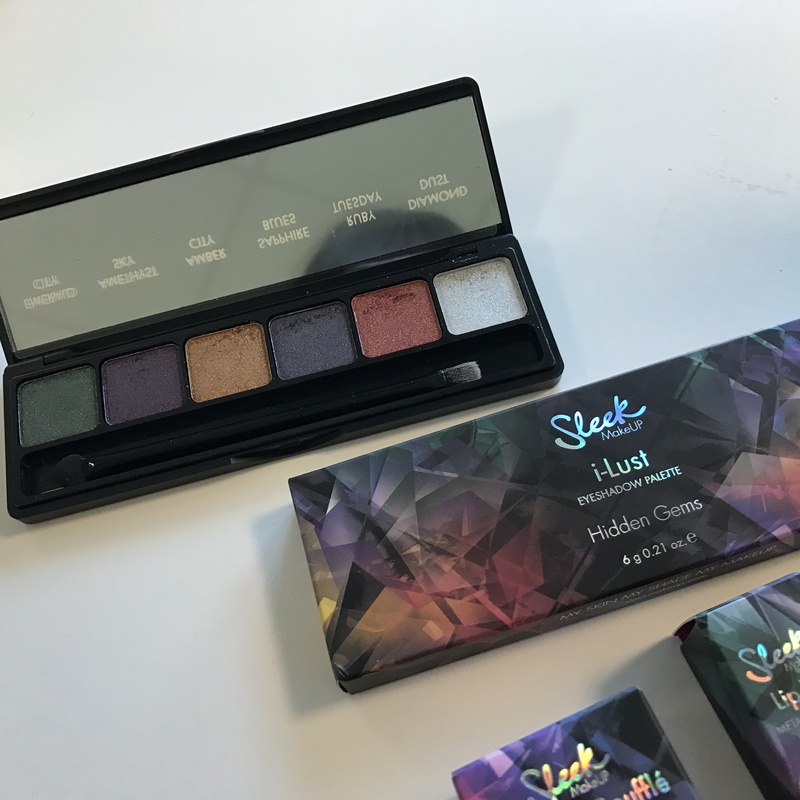 Sleek i-lust hidden gems palette – Superdrug. When I first opened this up I fell in love with all the shades. 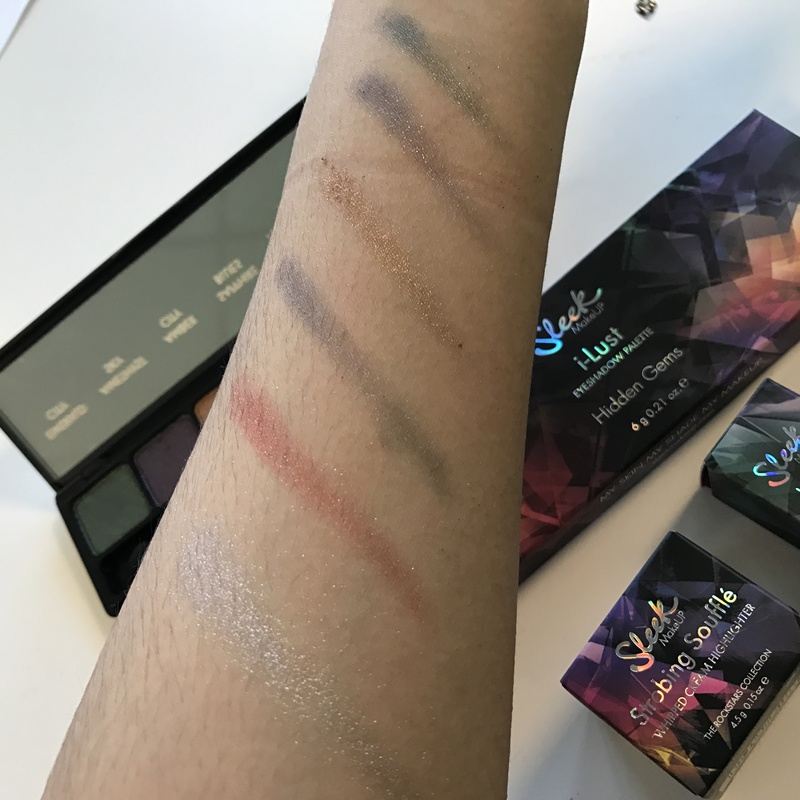 As on the drug store I personally don’t think bright colours are as pigmented but these are amazing!! I love the brighter colours, but my favourite has to be the gold because especially in A/W it’s perfect to combine with any shade for the perfect sparkle look. 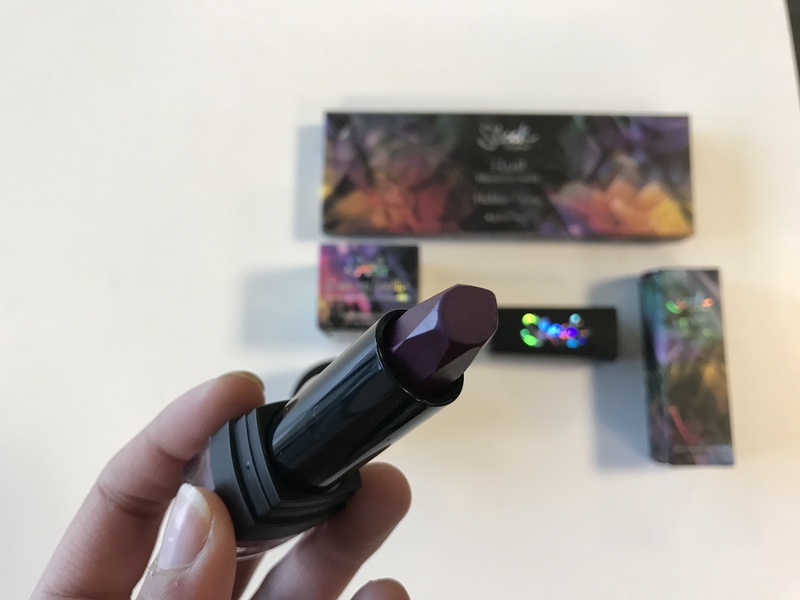 Sleek Lip Buzz – Superdrug. I cannot stress how much I love a dark lip and especially when it has two tints to it! I love this as it is the most beautiful deep purple with a shimmer of blue within. This is perfect to complement a burgundy outfit this autumn whether that’s casual or even for a night out this would definitely complete the look. 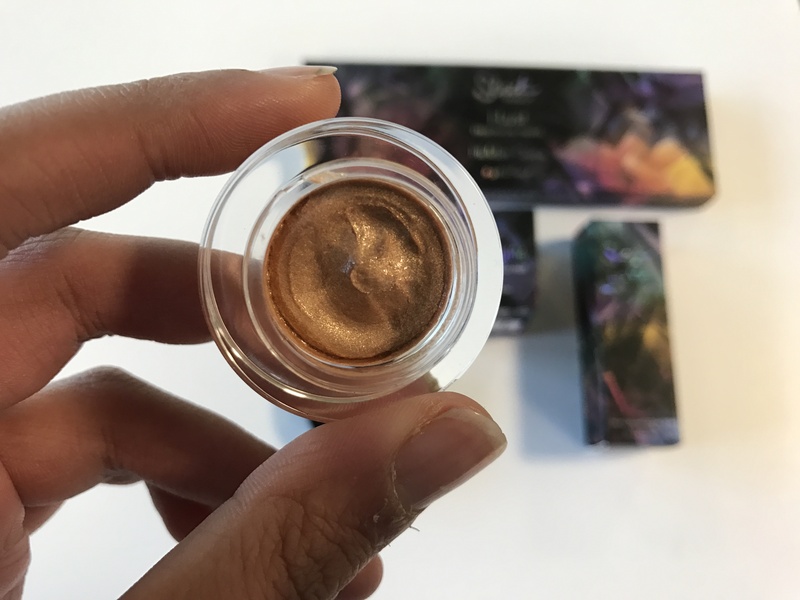 Sleek Strobing Souffle Smoky Quartz – Superdrug. 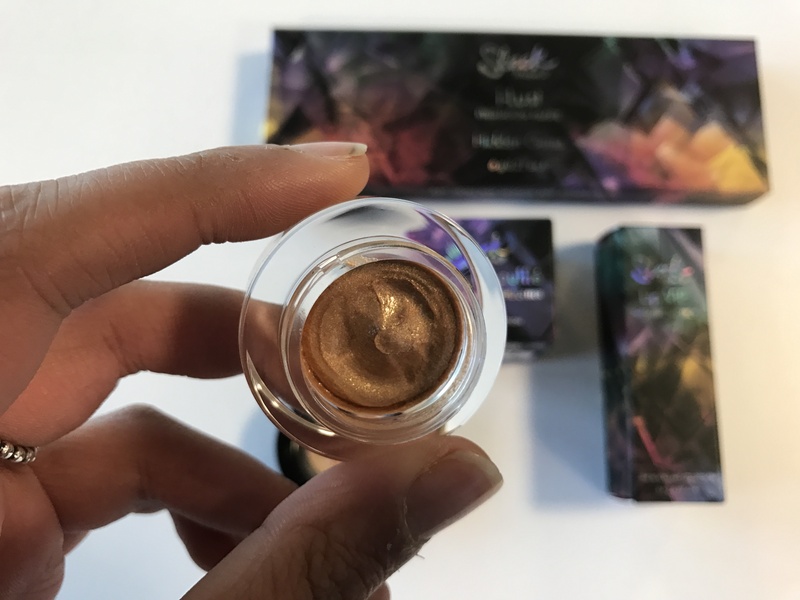 I love this highlight I haven’t tried a creme highlight and honestly as I swatched this I was so happy i cannot wait to use this! It is such a nice shade and would compliment every skin. It has a lovely shimmer to it, it’s very beautiful. If you’d like to see a post on a look with these make-up items do let me know below. « Autumn Everyday Make-Up Look! These look gorgeous! 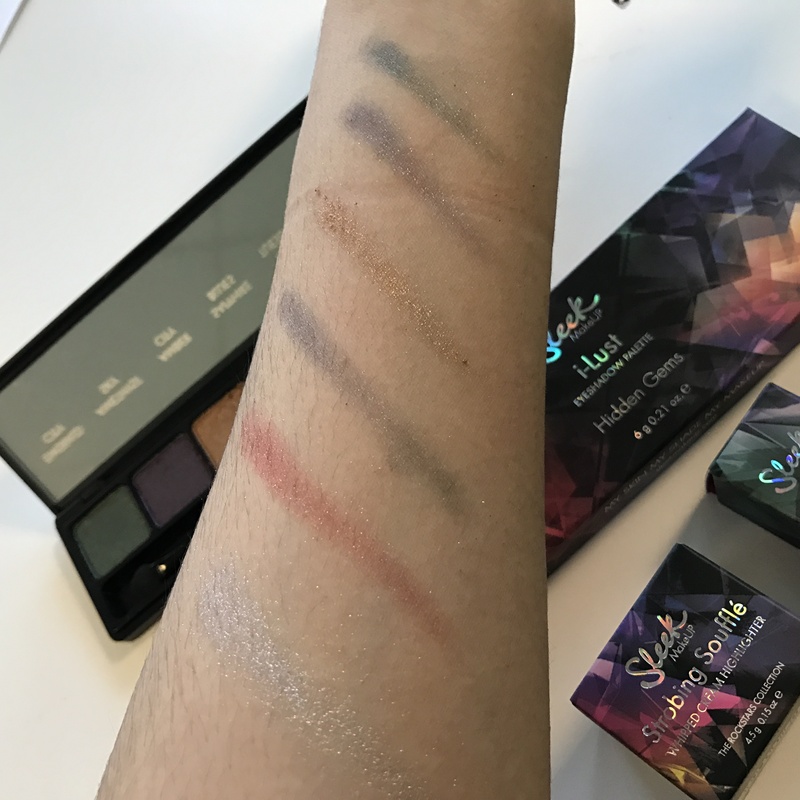 I really wanna get my hands on that eyeshadow palette!